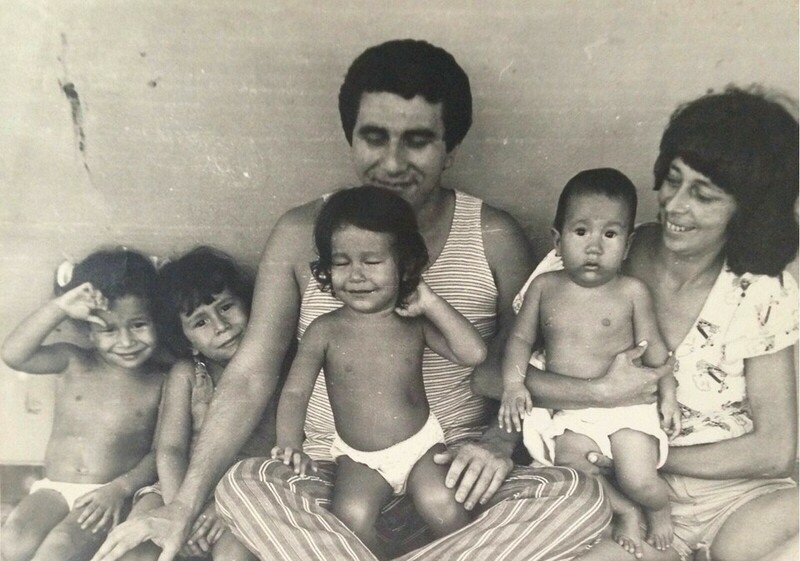 Mestre Roberto Evangelista and his family: care and love for generation after generation. Mestre Roberto Evangelista and his family: care and love for generation after generation If you were to give me only one word to describe Mestre Roberto Evangelista, I would, without a doubt, choose cordiality. And who would be able to say no? Cordiality comes from the Latin cor, cordis: coração (heart). Highlighting that, in ancient times, the heart was regarded as the source of knowledge in the human body. The word cordial, and others, come from the same root, and also indicate the heart, affection. Furthermore, even though this meaning is rarely used, it also means food or drink to stimulate the heart. In other words, we are talking about feelings. – The child has been born. A great poet, an internationally established visual artist, an advertising agent/publicist, and a writer; these are gifts that are harmoniously completed in his heart. Nevertheless, his devotion to Mestre Gabriel stands out, and leaves a lasting impression in the recent history of the União do Vegetal. 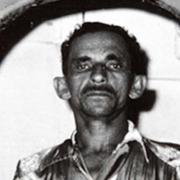 Prior to meeting Mestre Gabriel, and only having drank Vegetal few times, Roberto Evangelista had a symbolic and striking experience within the fluids of the Hoasca tea. After having witnessed beauties through the effects of the Vegetal, he starts to feel intense crashes in his head. In that moment, he was dazed and disoriented. One day, during an elevated state of mental concentration, he had the merit to see himself be propelled inside of his brain, entering in through the back of his head. And he navigates with clear consciousness in a sea of blood, through the central nervous system. He moves throughout the cells, through the cerebral hemispheres, until arriving, ecstatic and filled with light, to his pineal gland – The point where the body unites with the spirit and transcends all dimensions. The third eye, where God is reencountered. – It is here where you reside. Roberto Evangelista, continuing on his inner journey, sees within himself the Vegetal cleaning the neuron terminals that were darkened by substances used in times of unconsciousness. This cleaning was what was provoking the crashes that he felt in his head. – Roberto is a college student. – Very good, he is a student. Material knowledge is a good base for spiritual knowledge, replies Mestre Gabriel. Upon telling me about this event, I am reminded of the first calling that made Roberto Evangelista look for the Tea. A diligent reader, who still maintains this habit, he received the sign that would bring him to the world of Hoasca through the pages of a book: “The Morning of the Magicians” [translated as the Awakening of the Magicians in Portuguese] Coincidence? The penetrating gaze and the simplicity of Mestre Gabriel touch the heart of Roberto Evangelista, and a simple yet great love is born – the hook and the fish. In the waters of memory, the fisherman moves his net. The disciple doesn’t miss an opportunity to be together with his Spiritual Guide. 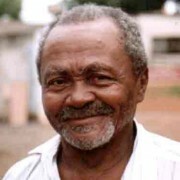 In this way, Roberto Evangelista is a witness to some of the words and attitudes of Mestre Gabriel that remain marked in the União do Vegetal: such as the affirmation that from Manaus the União do Vegetal would circulate the world; the recognition of the place of the Representative Mestre; the session where Mestre Gabriel recorded the Rosário de Chamadas (Rosary of Chamadas); and other moments that would be treasured in his heart. Turning 70 years old on the same day that his beloved Mestre was born, February 10th, Roberto Evangelista offers us flowers seeded in his memory, in the sweetest recollections, turned into honey. The house that Mestre Florêncio and Sueli lived in becomes, once again, the fertile flower bed where Mestre Gabriel, always teaching, sows another one of his seeds, which happily found a space to germinate. They asked him what faith was. – Faith is a step. It is like a step that leads to knowledge. It is very important to have faith. People, when they have the faith to arrive at someplace or to receive something, when they arrived to said place or when they receive what they wanted, they no longer need faith. – I have faith that you guys, that you are all there, inside the room. – Now, I no longer need faith because I’m seeing you all here. I am certain of this. There are so many stories, it becomes necessary to see and hear, with simplicity and care, that the gaze and friendly heart of Mestre Roberto Evangelista are permeated with experiences and nostalgia. He is ready to recall and to teach what he learned with his Spiritual Guide, the strings of his heart. A cordial man, made into the Evangelista (Evangelist), also called Roberto, has with him the call of recollection. This word – made into embers apparently covered by ashes – comes from the same source, the Latin cor. To recall is nothing more than the brightness of bringing, once again, to the heart that which touched it; such as the morning dew and like kissing the deep and silent lake of learning. Take a good look, Roberto Evangelista rarely talks about himself. “Drunk with the joy of singing, I forget myself and call thee friend, who art my Lord.”. Brasília, Waning moon, February 2016. *Edson Lodi is Assistant General Mestre of the Beneficent Spiritist Center União do Vegetal. **Haiku by Roberto Evangelista, written years after the event. 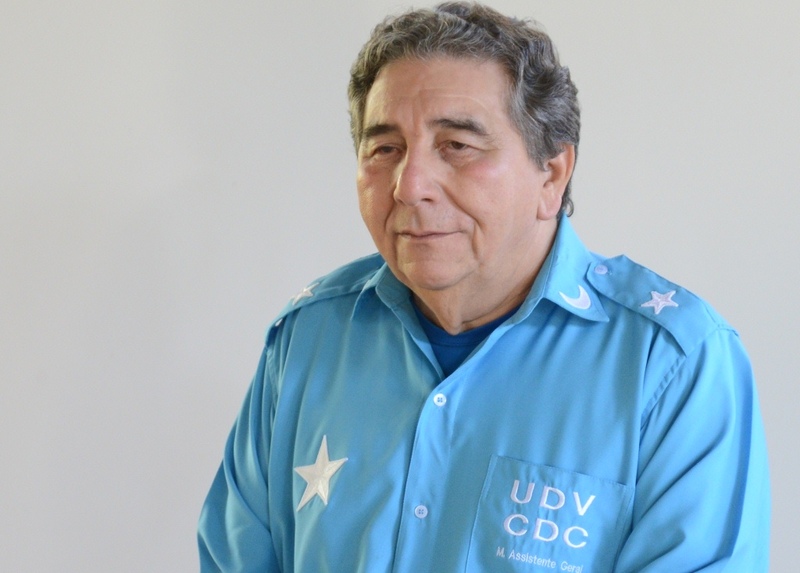 Click here and access the UDV’s Youtube Channel and watch the testimony of Mestre Roberto Evangelista.